The Artificial Intelligence Laboratory (LIA) was founded in 1987 by Prof. Boi Faltings, in the Computer Science Department at the Swiss Federal Institute of Technology in Lausanne (EPFL). At this time the lab was most active in fields like model-based and qualitative reasoning. In the early 1990s more expertise in design and civil engineering was developed and case-based reasoning as well as constraint satisfaction were applied to these domains. In this period we also moved from the Mathematics Department into a new building for the Computer Science Department. In the early 1990s, interest shifted to more fundamental work in constraint programming, and the lab made several fundamental contributions to constraint satisfaction with continuous variables and abstraction and reformulation techniques for constraints. These were applied with much success to resource allocation and routing problems, and later lead naturally to work in software agents. For the past decade, we have carried out a sequence of Ph.D. theses on the topic of constraint satisfaction in distributed environments, and we are continuing to develop this work towards real-world applications. Also, we have recently developed several technologies relevant to the world-wide web, in particular for preference-based search, recommender systems and reputation systems. Since 1996, a research group led by Dr. Martin Rajman is also attached to LIA. Its work includes advances in text mining and knowledge extraction techniques. Prediggo (Vincent Schickel, Boi Faltings, 2008) sells recommendation tools based on ontology filtering. Our work on LocalCoin, a joint effort between EPFL, IIS and HKUST, was featured on Bitcoin news. Naman Goel, Mohammad Yaghini and Boi Faltings have developed a new notion of fairness that can be optimized with a convex loss function. There are openings for new Ph.D. students at LIA. Applications must go through the doctoral school. There is an opening for a post-doc at LIA. If you are interested please contact Boi Faltings. 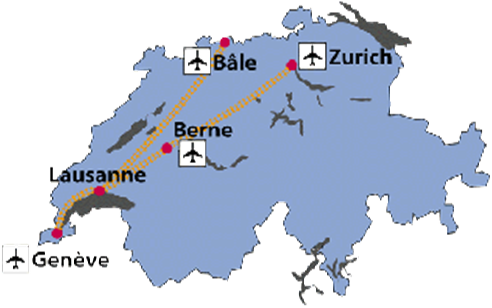 From all international airports in Switzerland, you can easily reach Lausanne by train. From Geneva, there are at least 3 trains for Lausanne every hour, the journey takes between 44′ and 1h. Trains from Zürich Airport take between 2h40 and 3h10. Find timetables at the Swiss Railway company’s web-site. A metro station is located just in front of the train station. Take the metro uphill, in the direction called “Centre-Ville”, until the end of the line (just 3′). There, transfer to what is called the TSOL (departures every 10′ on work days). Get off at the stop called EPFL. 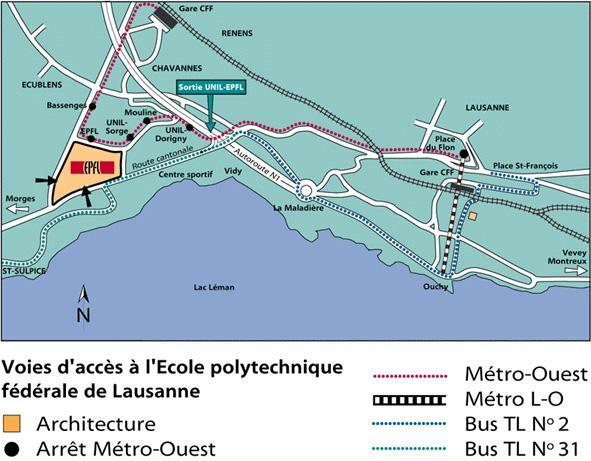 The journey from the railway station to the EPFL takes approx. 30′. The LIA is located in the south-west corner of the EPFL site, on the second floor of the building INR. From Geneva, approx. 10 kms before Lausanne, you will have the choice between two directions. Take “LAUSANNE SUD”. Then follow the EPFL exit. You are on the “Route du Lac”. There are two ways in for EPFL. Take the second, which is located just before a traffic light, then follow the blue parking icons. Avoid parking on the green places, they are reserved for students and employees. From Bern, you have to take the direction Geneva until you find a sign indicating “LAUSANNE SUD”. Then proceed as above. For further orientation consult the map of Lausanne.